Top Headhunters in Puerto Rico are experts at scouting diverse candidates for your staffing needs. Sometimes, we miss great opportunities merely because we ignore the facts that would otherwise move us in the right direction. Perhaps because of things we have heard and believe to be true, even when we have not taken time to look into it. It is true that finding talented candidates with the right cultural fit is a challenge. It’s also true that many employers don’t have enough time to make a thorough evaluation of every candidate that sends in a resume. We understand. Running a company can be a balancing act. However, that shouldn’t stop you from achieving your objectives. Nor does it mean that you need to lower the bar and select less-than-ideal candidates to fill a job position. Let the best headhunters in Puerto Rico do the recruiting for you! 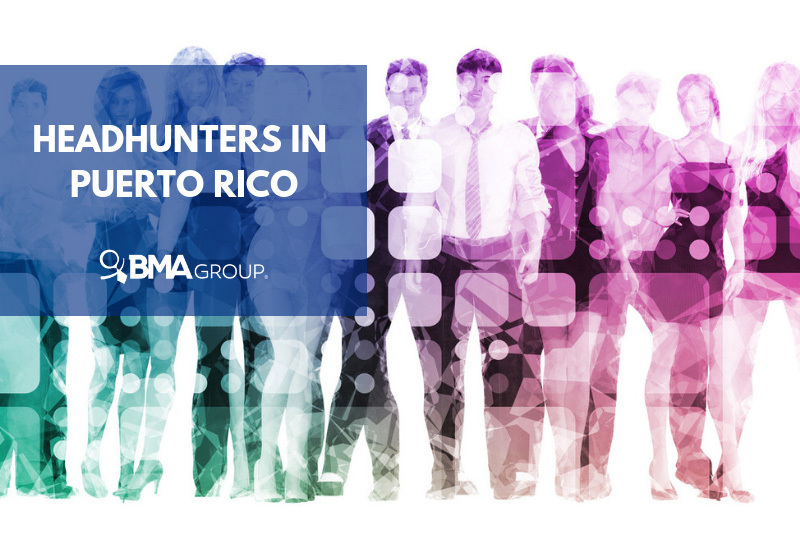 Headhunters Puerto Rico have a track record of recruiting top talent for their clients, locally and abroad. Don’t let doubts cloud your judgment. To clear the air, we’ll set the record straight by debunking the four most common myths that are probably holding you back from hiring headhunters Puerto Rico. Headhunters in Puerto Rico only speak Spanish. FALSE! Superb headhunting companies in Puerto Rico are bilingual, speaking both English and Spanish. These languages are not a barrier. They’ll do an exceptional recruitment job for you because being bilingual actually gives them an advantage over other headhunting companies. Think about it! Knowing two languages allows them to attract a wider range of multifaceted candidates. Puerto Rico’s location restricts recruiters from providing headhunting services abroad. NOT TRUE! Puerto Rico’s location is not a limitation, but a strategic location for headhunters Puerto Rico to be one step ahead. The island’s location grants them access to diverse, competent professionals from different regions in the Americas. From Brazil to Costa Rica, we provide A+ candidates from all parts of the world, ready to fill your vacant position with the best talent. Headhunting Companies in Puerto Rico aren’t up-to-date with technology. Long gone are the dates when recruiters had to look through every resume and perform related tasks manually. Who wants to go through all that hassle, really? Scouting for talent is still a challenge, yes, but technology has made it more bearable. Also faster and more efficient. Headhunting companies in Puerto Rico operate with the latest technology in recruitment, to help you find high-skilled, suitable candidates. Puerto Rican headhunting agencies are technology literate. They have advanced software that can define your company’s organizational culture, allowing headhunters to recruit the right people for your company. Headhunters in Puerto Rico aren’t familiar with the business. Headhunters with decades of experience are industry leaders. They know multiple markets and its intricacies. Puerto Rican headhunting companies are not the exception. Their vast recruitment expertise makes them the perfect source to attract ideal candidates. The goal of Puerto Rican headhunting companies is to get candidates with a holistic perspective; contributors that can take your company to new heights. What better way to get with all-star prospects with minimum effort? Trust us! We know our trade. Want to increase your company’s efficiency? Seek help from the top headhunters Puerto Rico! Finding top talent is no easy task for most employers. But we’re not most employers. Recruiting is our thing! So, lay back and let us, specialized matchmakers, find the right fit for that vacant position. What are you waiting for? Invest in your company’s future today! DISCOVER THE MOST EFFECTIVE RULES OF ENGAGEMENT WITH OUR FREE EBOOK. CLICK BELOW TO DOWNLOAD! Hi, I will like to know some adress to send my resume. I’m have more than 20 years of experiences in the manufacturing industry and quality process. Where I can send my resume?